A Calgary mountain climber who gave up his own previous attempt to scale Mount Everest in order to save an Australian man succeeded in reaching the peak Friday. 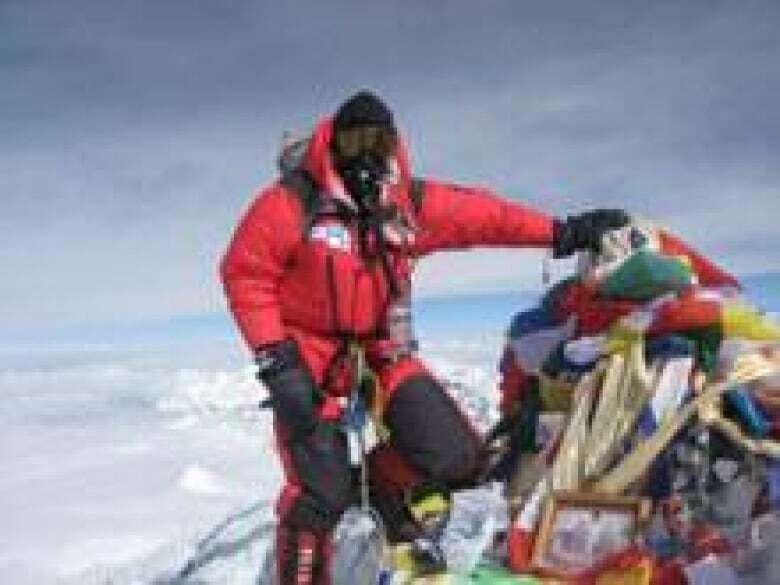 Andrew Brash reached the summit of Mount Everest on Friday. (Andrew Brash)A Calgary mountain climber who gave up his own previous attempt to scale Mount Everest in order to save an Australian man succeeded in reaching the peak Friday. "I almost can't believe I'm saying this, but I am: at 7 a.m. this morning [local time], a small group of us summited Everest!" Andrew Brash wrote on his blog Friday, describing the peak as "cold and windy." "It was a more difficult climb than I realized it would be, and climbing all night borders on desperate (we left camp at 9 p.m.)." Brash, a high school teacher, was 200 metres from the top of the world's highest mountain in 2006 when he cut his trip short to rescue Australian climber Lincoln Hall, who had been left for dead suffering from altitude sickness. Brash's team climbed all night to reach the peak. His wife, Jennifer, said he spent 45 minutes taking pictures and enjoying the view. ((Courtesy Andrew Brash))Jennifer Brash, who spoke to her husband after the climb, told CBC News Brash is "exhausted but very happy." She said he spent about 45 minutes at the peak enjoying the view and trying to take pictures in the minus 25 C temperatures. She said she tracked her husband's progress on his blog Thursday night, which was early morning in Nepal, refreshing the page every couple of minutes as he got closer to the top. When she read that he had reached the peak, she celebrated with her family and friends. Brash's wife said she was "so relieved" when she learned he reached the summit. "I'm just so happy for him that he's reached his goal and is safe," Jennifer said. "He'll be a happy guy when he gets back." She said her husband sounded "a little bit out of it" when she spoke to him, laughing as she explained that he mentioned retiring from climbing, gardening and ordering a truckload of topsoil. 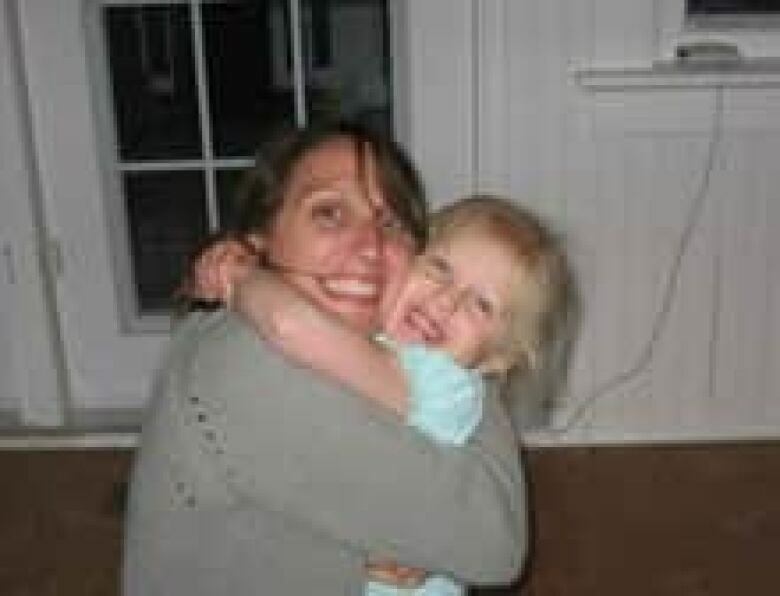 Jennifer Brash and daughter Anna celebrate after learning Andrew Brash reached the summit. ((Courtesy Jennifer Brash))She added that Brash planned to have a nap and breakfast before beginning the trip back down the mountain. He is expected to return to Calgary next week. 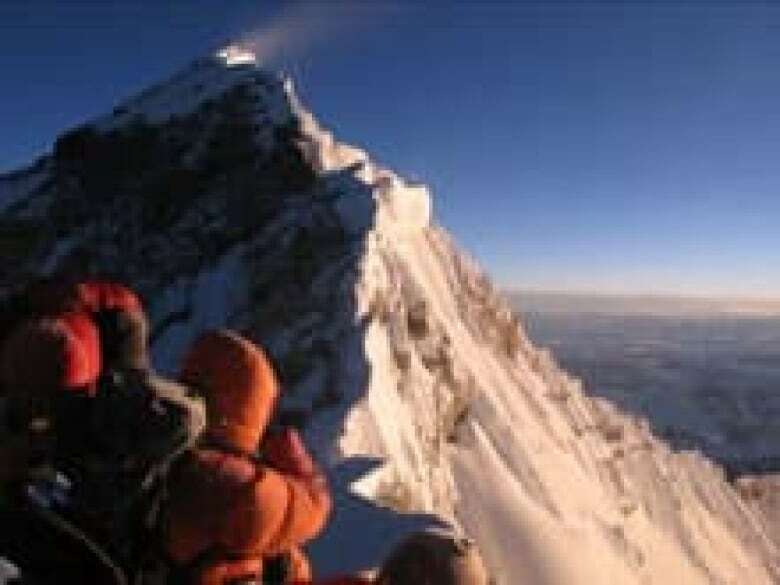 Nepalese officials said Friday that a record 75 climbers had reached the summit Thursday, breaking a record previously set in 2002, when 63 people reached the peak. Officials said that number could still increase. The rocky spur on top of Everest is the highest point on the Earth's surface, 8,850 metres above sea level.